I recently needed to buy a new laptop bag as I had upgraded my laptop, but wanted something different to the usual over-the-shoulder bag which I find very uncomfortable as I have dislocated both my shoulder in my lifetime and a laptop is rather heavy to carry around all day long when traveling. Whilst at a conference recently I noticed one of the other delegates with a very nice-looking rolling case and it turned out to be the Targus Sport Rolling Backpack Case. He said that he has had his case for more than a year and was thrilled with it as he, like me, attended conferences or meetings virtually every week. He also traveled all over the world and needed something rugged which looked good for a CEO to use. 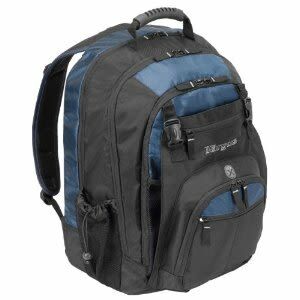 He had the Targus Sport 15.4 Inch Black Backpack with Grey Accents, which looked really great, but when I saw the 15.4 Inch Black Case with Platinum Accents I knew that it was for me. In my book, the Targus Sport Rolling Backpack Case meets every single one of my requirements, and looks sporty yet elegant at the same time, as it matches the trim on my laptop. Despite its small size, the Targus can take a lot of equipment. My laptop fits snugly into the main compartment, which is well-padded so I am satisfied that my electronic equipment is well-protected. It also has sufficient room for me to carry my power adapter and cord, my mouse, and my external hard drive with adapter and cable. A bit of a welcome surprise is the large full-sized external zipper pocket which is great for my external optical drive or any books that I need to take with me on the day. I have even stuffed a thermos flask in there once or twice when I had less to carry. There are also sufficient small zippered mesh compartments and various other storage options throughout the pack to take all my smaller accessories such as USB sticks, keys, and various other smaller items. Another little surprise is the removable cell phone pocket which can be placed on the left or right-hand side of the backpack for quick access. Even when fully-laden, I found the backpack to be easy to handle when used as a rolling backpack, as the wheels roll along effortlessly even on uneven ground. The changeover to using it as a backpack is just as easy, using the padded shoulder straps which fold away into a rear protective flap when not in use. For those who are small-built and perhaps struggle a bit to carry a heavy load on their back, there is an optional adjustable waist-level belt for improved stability and to take the load off just a bit more. The design is very strong, and there is protective PVC on the bottom of the case which repels water, as I often travel to areas where it is very wet and the sidewalks are a nightmare of puddles. The handle grip on the bottom of the Targus Rolling Backpack is very handy for when it is necessary to lift the bag to stow it away in an overhead compartment in the plane, or even for lifting it into the trunk of your car. I must admit that I just love reading reviews on various articles, as it gives me an insight into what those who are already using the product think of it. Whilst reading through reviews in order to see what others had to say about the Targus Sport Rolling Backpack, I also looked what the negative comments were. One person complained that there were too many zippers to go through to get to their items, and another wanted more pockets, but I don’t have a problem with the zip system, and find that there are sufficient pockets for my needs, so I guess that is just personal taste. Where Can You Buy the Targus Backpack Case? There are many retailers that sell the Targus Sport Rolling Backpack Case, in various sizes, but I like discounts, so my vote goes with Amazon.com, which is where I bought my Targus backpack. 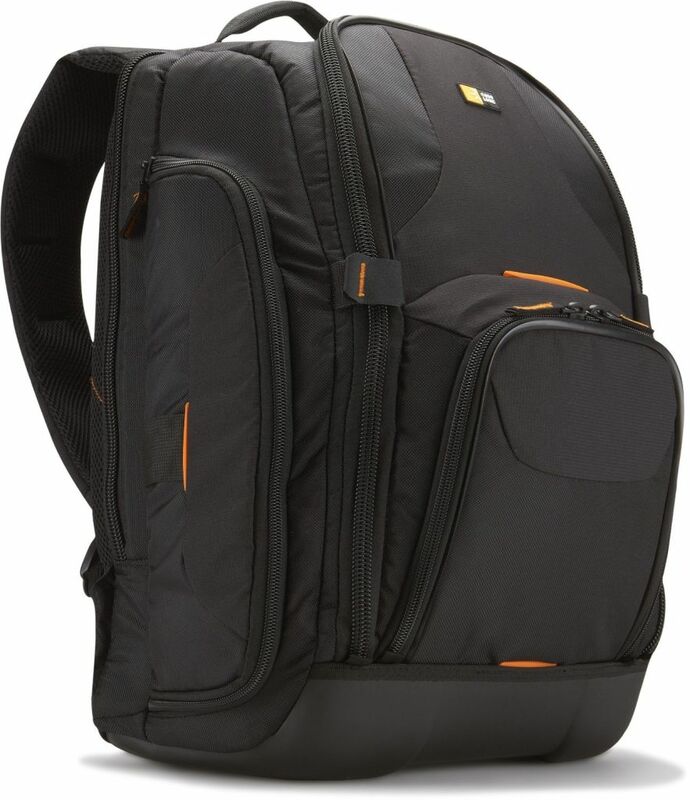 The Case Logic SLR Camera and Laptop Backpack is great for a SLR camera body with attached zoom lens, laptop and additional accessories. 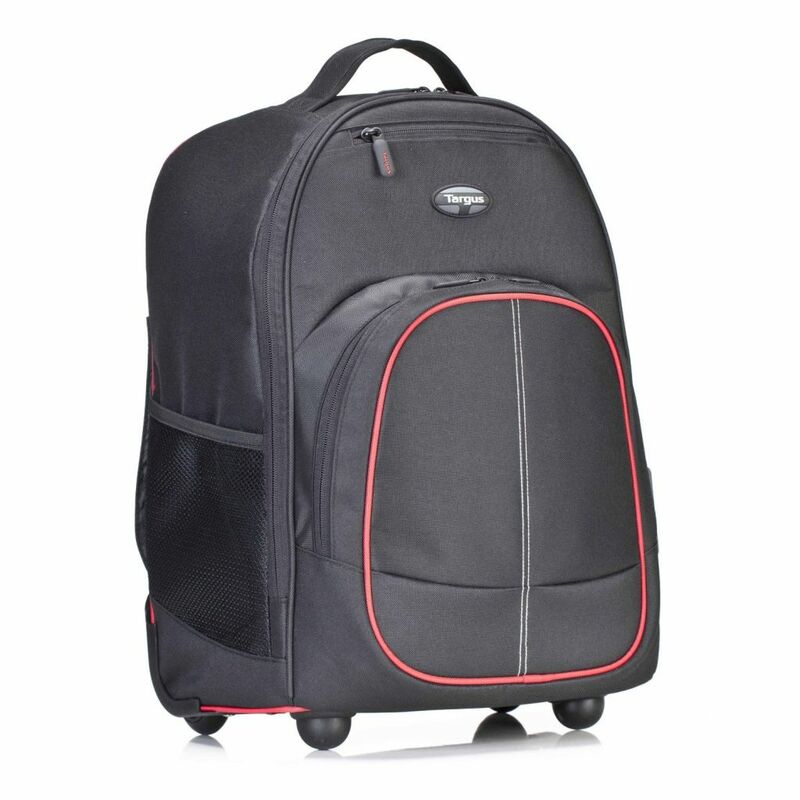 The Targus TSB75001US Compact Rolling Backpack is ideal for laptops and can accommodate Macbook Pros up to 17-Inches. 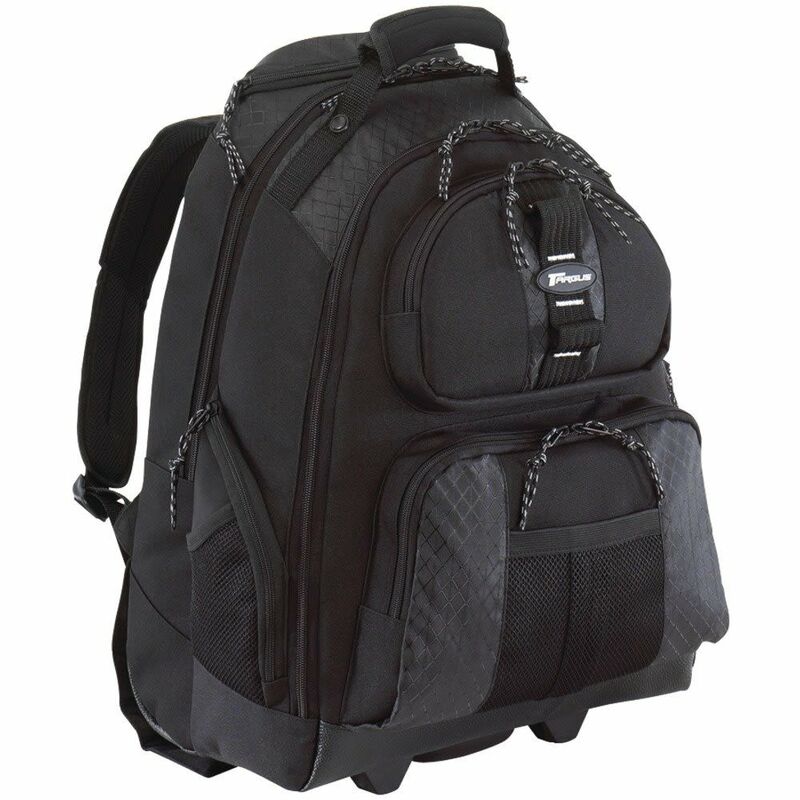 The Targus XL backpack is designed for 17 inch notebooks. It's the road warrior's secret weapon and it's affordable!